Rising Voices » Mozambique: What are the Remaining Untold Stories? 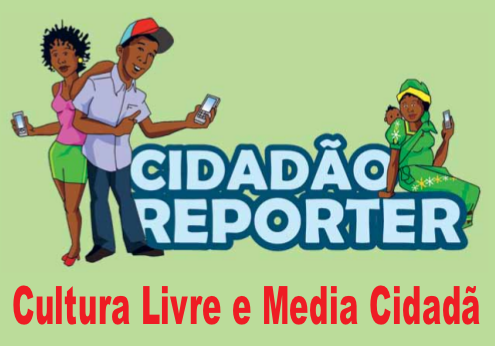 This is the first of two posts reporting on a Citizen Media and Free Culture [pt] workshop that took place at the National Journalists Union in Maputo, Mozambique in July 2012 as a volunteer project implemented by the author of this post, Sara Moreira, and Júlio do Carmo Gomes. How do we create a multiplicity of active voices in the context of new media? How should this networked utopia be valued as an inherent process in the struggle for social justice and for an emancipated culture? How do we challenge the fiction of dominant ideologies that seem to have only one meaning and which apparently tells the same story of the same protagonists? How do we establish the necessary conditions for ordinary people to possess the power to unravel these myths and fictions generated by the dominant institutions, creating instead their own political and cultural representations about life and the world? Before exploring the possible answers to such questions, the workshop began by asking the 25 participants – most of them journalists or collaborators from @Verdade, as well as students interested in communication, citizen media, info-activism, and social activism – what were their expectations about the journey they were about to begin through a free 5-session workshop consisting of 15 hours of theory and practice. Citizen Reporter: Free Culture and Citizen Media. Poster by @Verdade newspaper. I want to participate in the construction of a country free of taboos, prejudice, and above all, where there is freedom of expression. Part I: What are the Remaining Untold Stories? The workshop began with a theoretical introduction to globalization and the confluence of interests that takes place between the political and economic powers and the media industry. Discussions took place about the concepts of free access to information, as well as technological obsolescence, which enabled a critical perspective towards how information is created and shared. 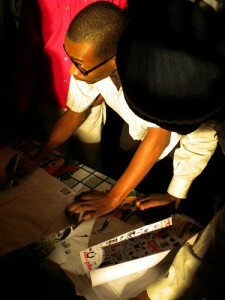 Afterwards, six national maps were created in small groups, focusing on the social context and media in Mozambique. The goal of this exercise was to promote a shared reflection about general issues that all of the participants held in common. The aim of these dynamics helped to enhance a space for discussion and participation, thus breaking the trend of purely individual analysis and civic passivity. Trigger-questions [pt, .pdf] that served as a basis for the analyses of the national landscape were given to each group. The materials were adapted from the Argentinian Iconoclasistas [es] project, which provides a series of instructions [es] for collective mapping workshops. After the joint reflection and mapping activity, it was time to inspire participants to communicate the reality of Mozambique through digital means of expression and citizen participation. For this, several initiatives of info-activism and emergent global social movements that use digital media to disseminate their messages were presented. The examples came from the screening and discussion of Tactical Technology Collective's film 10 Tactics (informationactivism.org), which includes 35 interviews with global human rights activists. The film “10 Tactics for Turning Information into Action” illustrates swarm-effects of social mobilization by showing traversed paths for the promotion of direct intervention and transformation of reality. Providing examples of creative and effective use of media such as blogs, Twitter, Facebook, and collective maps, 10 Tactics also serves as guidelines for those who want to explore new ways of creating social networking activism, and experience using digital tools in innovative ways. A few days before the practical part of the workshop started, one of the most popular blogs in the country, Diário de um Sociólogo (Diary of a Sociologist), published a series of posts about “the death of Mozambican blogs”. Its author, Professor Carlos Serra, justified the disappearance of a significant part of the Mozambican blogosphere with the widespread use of social networks, particularly Facebook. Trying to counteract this phenomenon (which is not exclusive of Mozambique), and to respond to one of the issues raised in the first part of the workshop – “Why accumulate information and content, if we do not have time to think critically?” – participants were invited to create their own blogs. In the next post we will tell you how the participants fared and how they began to use these new tools.